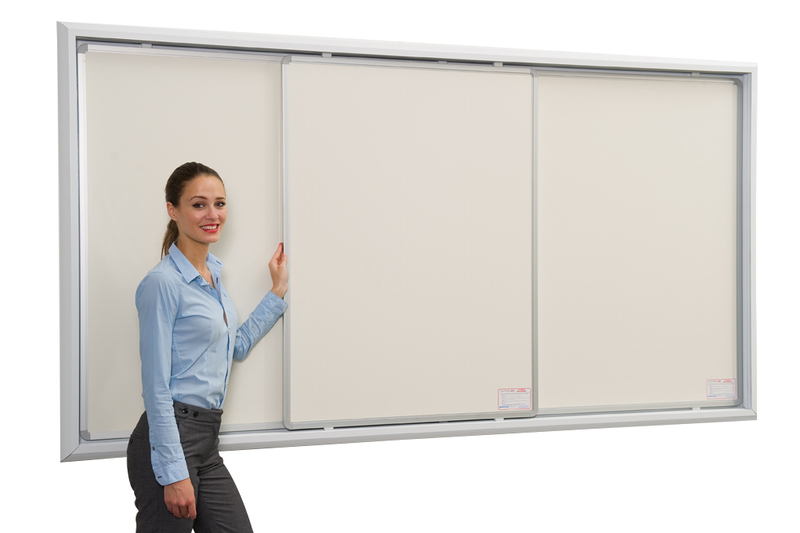 This writing board system has a white aluminium framed back whiteboard with 3 channels which can accept up to 2 sliding writing boards. The back board is 2400mm wide and 1200mm high. 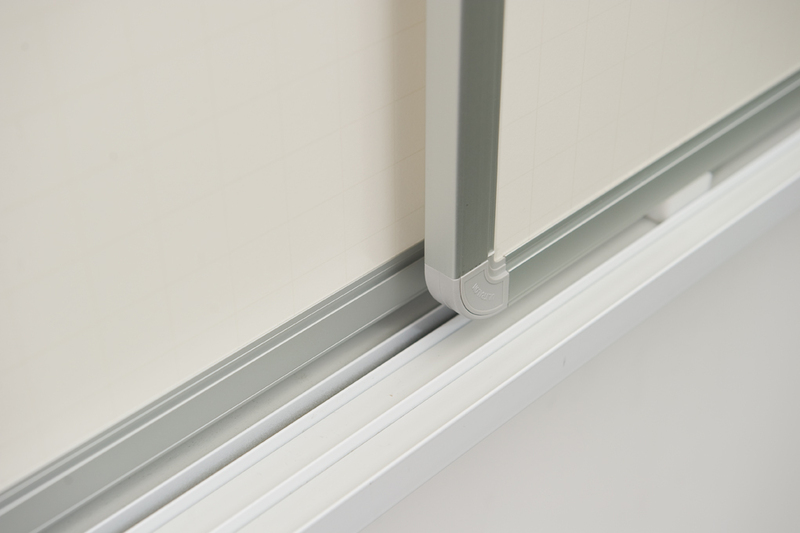 Each sliding writing board is 900mm wide, 1200mm high and 16.5mm thick including the satin silver anodised aluminium frame with nylon glides for an easy sliding action. You can choose to have the full back whiteboard with one sliding board, giving a writing space equivalent to 3300mm wide and 1200mm high, or with 2 sliding boards, giving a writing space equivalent to 4200mm wide and 1200mm high. Overall, a whiteboard system which is great to use in classrooms where space is limited.